Ah yes, the long awaited beauty post that you may have been waiting for. Recently I was lucky enough to be sent an amazing 9 piece Beauty Guru box from Latest in Beauty and I simply can not wait to share with you what I picked to try in my box. 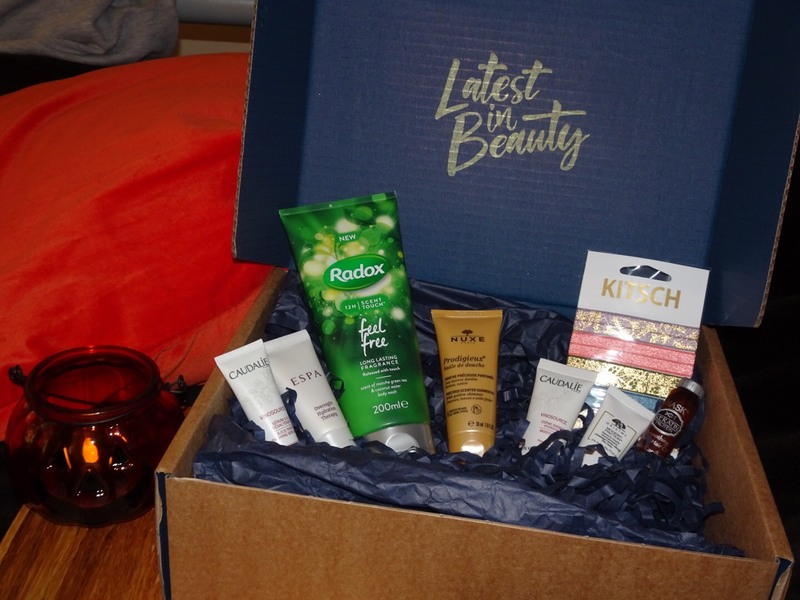 Latest in Beauty is a new brand to me that offer monthly subscription boxes & one off boxes where you can choose either collections from their website or you can create your own box. 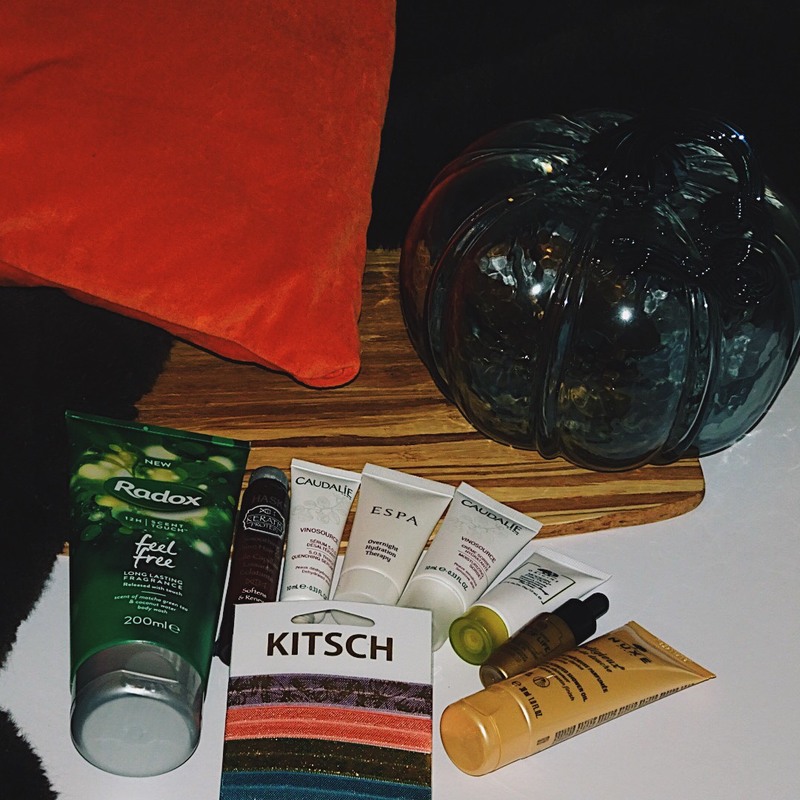 I can honestly say that I have loved receiving this box and using all of the products that I tried out. There is a huge range of products to choose from and some amazing brands e.g. 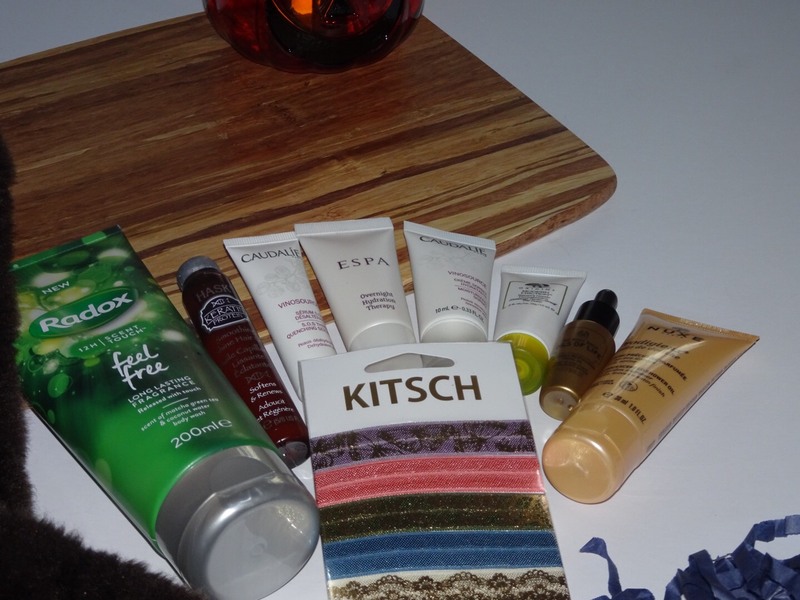 Origins, Caudalie, The Body Shop and many more! I have wanted to try out this product for so long now, I absolutely love The Body Shop and have tried so many products of theirs so this one was a must-have for me. SO this product has been an absolute fav in my box and let me tell you why, I have been adding two drops of this oil to my foundation and my god, what an absolutely incredible idea (if I do say so myself). I did originally try this product on it's own first and I loved it but I think I'm pretty much going to keep this for using in my foundation only! Again I love this product. Its rich, its intense and its moisturising - everything it claims its going to do it does! I've been using this mask every now and then after taking my makeup off and when I feel my skin needs just a little lovin. So I added this guy to my box along with their moisturiser which was definitely a wise move as you are supposed to use the serum before the moisturise so I have been using both morning and night and my skin feels awesome from using them! Its nice to have a serum and moisturiser together in your routine and like I say it feels great on my skin after and it's just a perfect duo. Both products I have wanted to try for a long time just never managed to pick them up and I just love Caudalie they have some amazing products and they smell A-MAZE-ING!! I kind of just picked these as a filler because originally I picked so many skincare products for my box then had to give myself a little pep talk to try some new bits, so I grabbed these guys and I must say I am really impressed - I love them! I have seen this style hair ties for a while now and didn't really understand the hype but they are such a cute, fun way of dressing up your pony!! This was also a little bit of a random pick for me but I love Matcha so I thought why not?! I can tell you now this body wash smells incredible, its so refreshing and just a gorgeous scent. My only issue with this product is that it does claim to last for 12 hours and I don't find the smell lasts that long, maybe 4-6 hours but certainly not 12. Other than that I love this body wash. This was probably the first product I found where it was abit meh? The thing I loved about it was the shimmer in it is so lovely, however I just can't get away with the smell of this product. I don't know what it is about it but it just has this kinda granny smell and I'm just not sure BUT I would still use this product because the shimmer is pretty nice! Now let me just start with the fact that I love Origins! I have used quite a lot of Origins products before and pretty much loved every one of them and this product did not disappoint. It is a lovely gentle exfoliate which leaves my skin feeling clean and almost new (I know that's kinda weird but I hope you know what I mean). I haven't used the product a lot because I don't like exfoliating too much but I feel like you could get away with using it more if you wanted to because it is so gentle. Last but certainly not least is this beautiful hair oil from HASK. I do love a good hair oil and I have enjoyed using this one because I am pretty basic and lazy with my hair and I'm happy to admit that but this oil has definitely made a difference to my hair. After washing my hair I will give it a little towel dry, comb it through and pop some oil on the ends of my hair. It makes my hair feel a lot smoother and looks a lot shinier which is great especially when you have thick, course hair like mine!! I've added below where you can shop these products if you want to try any out for yourself but you can obviously add these into your Latest in Beauty box if you want to try them out for yourself first before buying the full size products. 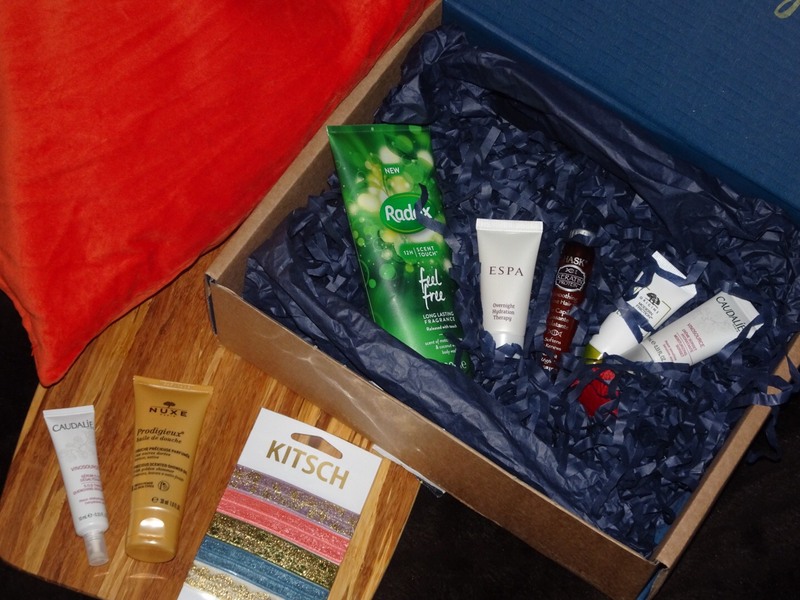 I hope you enjoyed reading this blog about my Latest in Beauty box and finding out what I think about it. If you want to find them on Instagram you can here and you can also head to their website here.